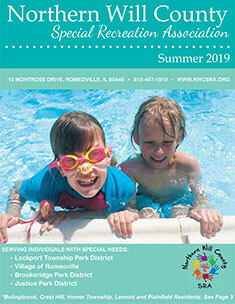 Northern Will County Special Recreation Association provides sufficient staff to participant ratio to ensure a safe and meaningful recreation experience. If a participant cannot attend a program, he/she cannot send a substitute in their place. When arriving and departing a program, parents/guardians are required to “check in” with the program supervisor. Participants will only be released to designated individuals approved by parents/guardians. Any changes to a participant’s approved list must be submitted to the Northern Will County SRA office in writing. Participants must be picked up at the designated time that is listed in the program guide, flyer or verbally informed by the staff. 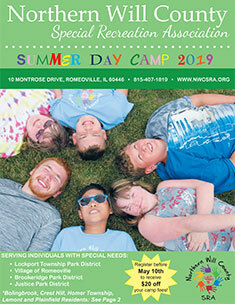 Northern Will County Special Recreation Association staff will not be responsible for participants arriving prior to the scheduled program time. Northern Will County Special Recreation Association reserves the right to cancel a program or event due to insufficient enrollment. Please note minimum and maximum registration numbers. Programs or special events may be cancelled due to inclement weather and make up dates may not be arranged. Northern Will County Special Recreation Association staff will not leave any person unattended after any program unless written permission has been received from said individual’s parent/guardian. Northern Will County Special Recreation Association staff will not release any person to walk unattended after any program unless a written waiver has been signed from said individual’s parents/guardian.